Cloud computing is a technology in which shared softwares, information, and resources can be accessed through multiple devices over a network, usually the Internet. It allows the use of cloud applications without the hassle of installation and access personal and business files from any location through remote Internet access. This technology can improve computing efficiencies by centralizing storage, bandwidth,memory and processing. So a cloud is basically a physical location where IT resources such as operating systems, networks, computer hardware, databases, storage and software applications can be stored and accessed instantly through an Internet connection. The cloud allows interoperability, real-time information exchange and agility making it a better choice for companies than just on-premise applications. To draw the maximum benefit from the cloud, it is desirable to implement cloud computing integration of the multiple enterprise applications needed for various business processes in an organization. This helps to configure multiple on-premise or cloud applications to share data over the cloud. Up-to-date Information: As all the applications on the cloud are in-sync with each other, the end-users are able to fetch the most recent data or information related to various activities. A change made by one user reflects on another application almost instantaneously. Improved functioning: Changing all the manual segments to automated ones improves the accuracy level of various operations. This facilitates in a frictionless system-to-system process automation and eventually improves the overall efficiency of information sharing. Streamline business goals: Integration of businesses on cloud, lines up the various aspects of a business like procurement or eCommerce management, logistics etc. A clear projection of the various entities can be drawn in the perspective of workforce. Safe: A user-name and password is allocated to each and every employee in order to verify themselves to gain access to cloud. A set of security protocols are also followed so that the information cannot be modified or altered by someone who doesn’t have the access to do so. Flexibility and Scalability: Enterprise applications’ and infrastructure’s integration with the cloud facilitates a simple solution for organizations to upgrade or downgrade their business requirements. This helps businesses to maintain the cost of various operations related to different projects or tasks. 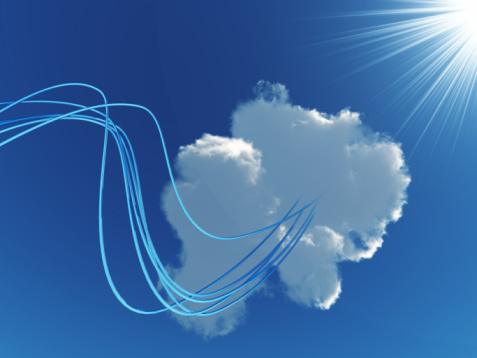 Higher availability: Cloud computing integration provides higher availability of different resources to the end users. As all the services are hosted on a cloud, it improves the efficiency of the organization’s infrastructure. Since only an internet connection is needed to access this cloud, there is no limitation on boundaries or on-premises mobility. 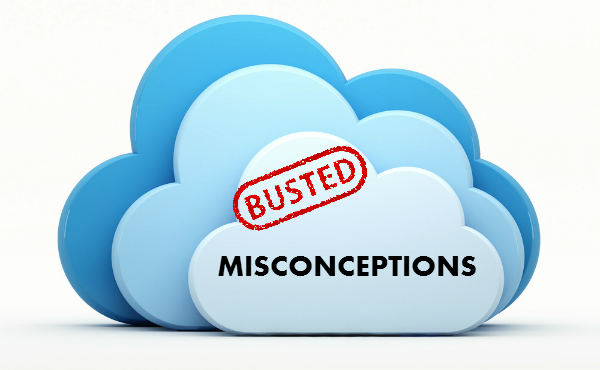 Though the cloud would not always prove to be a better solution, it is responsible to maintain and administrate the integration of multiple IT resources. 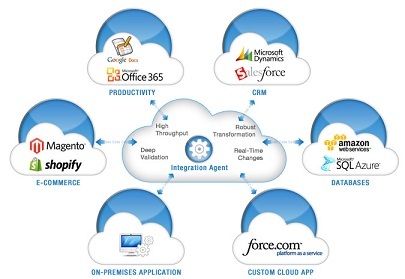 The budgets of tools of integration and the business’s size serves as a deciding factor for the cloud computing companies to integrate their various applications on cloud. Get in touch with us to learn how Rishabh Software’s Cloud Application Development service can help you improve your business processes by integrating enterprise applications on the cloud.